visiting from Macro Flowers Saturday! Lovely shot! 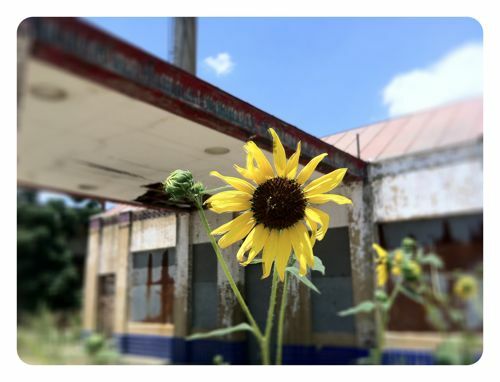 I really like the way the sunflower appears slightly bedraggled, like the old gas station in the background! The sunflower looks as though it has seen better days but it is still beautiful. Love the composition of your photo.